The Milky Way over the ALMA radio telescopes in Chile. The Carina Nebula appears in the middle, below the Southern Cross and a large dark nebula known as the Coalsack. Higher up in the sky Alpha and Beta Centauri are the two bright stars. 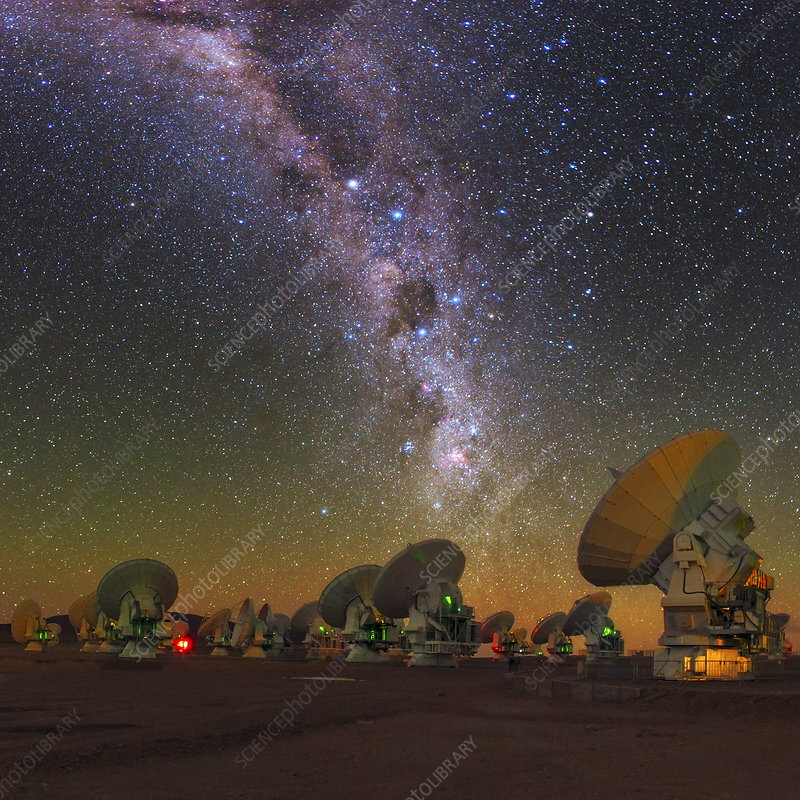 ALMA (Atacama Large Millimetre/sub-millimetre Array) is an array of 66 radio antennae located at an elevation of 5000 metres on the arid Chajnantor plateau in the Chilean Andes. Data from the separate antennae are combined by interferometry, making it one of the most powerful telescopes in the world.